I hope you all had a good start in the new year 2019! I wish you health, happiness and joy and have a lot of fun with creating new ideas and projects. I’m looking forward to inspire you for another year with all the amazing ‘old’ and new paper collections from Maja Design. 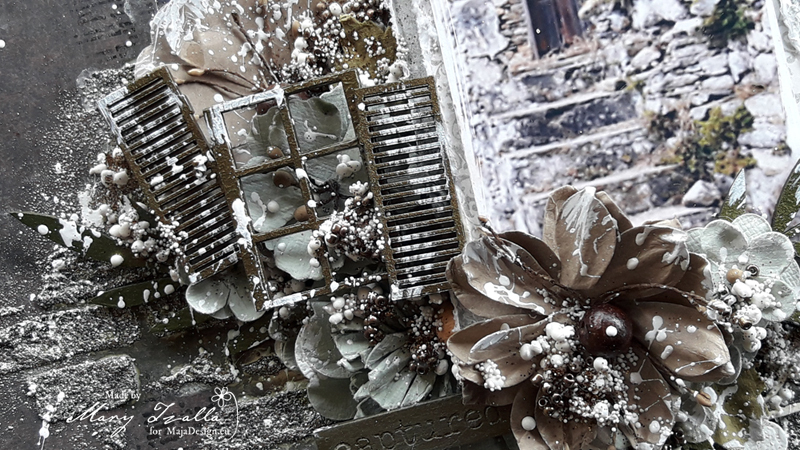 I was inspired to make a layout in a wintery mood and used a background paper from the ‘I wish’ collection. which shows a litte girl in a winter forrest that has a lot of fun in the snow. Explore & Adore – I think a very good motto for our new creative year, right?! Hello, and happy Monday! Welcome to the Maja Design Blog! It’s Nancy here, with my first Christmas card of the season to share with you. I can barely believe the festive season is almost upon us, as I still have a couple of Christmas items on my desk from last year that I’ve been meaning to put up-lol. I’m working with Maja Design’s gorgeous ‘I wish’ collection today. It’s full of warmth and holiday cheer. Looking at the joyful images makes me feel like baking up a batch of holiday cookies while singing my favorite carols. 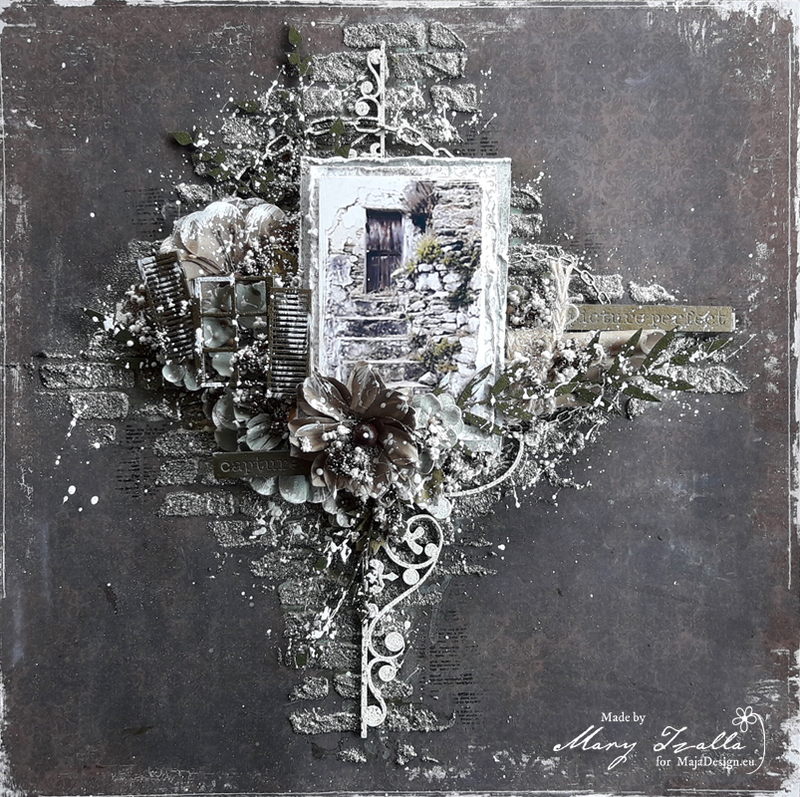 Several layers of distressed papers are stitched together, topped off with a die cut oval, then embellished with wintery florals and fussy cut images from the paper collection. 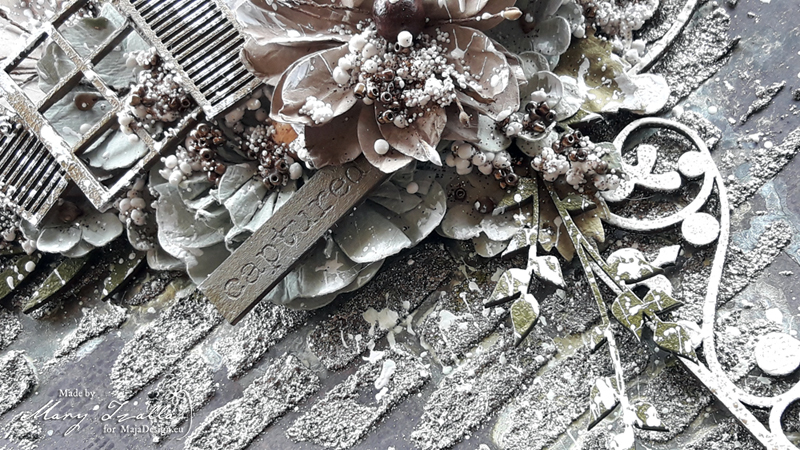 A dusting of snowy Gesso adds a wintery chill, and the final touch is, as always, a bow! Below is a closer look at the hand cut images, which includes the sentiment. There is plenty of space on the inside of the card to write a Christmas greeting. 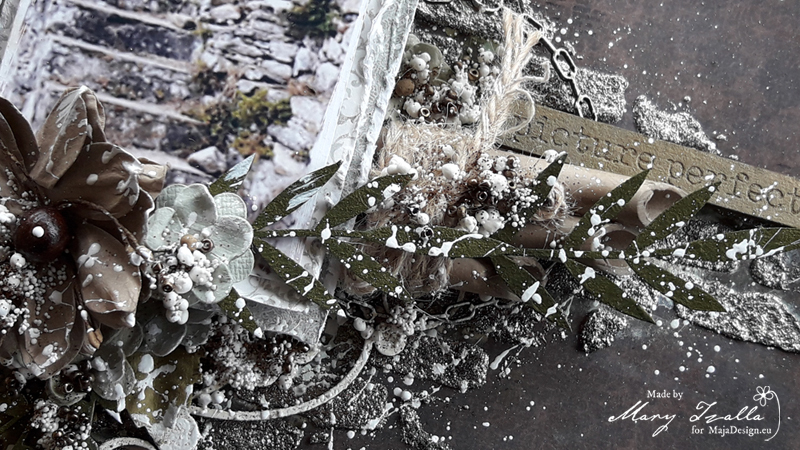 Other Products Used: Twine, Paper Flowers, Holiday Greenery, Jingle Bells, Gesso. Thank you so much for joining us on the blog today! I wish we could all sit down to a cup of tea and talk all things crafty. May your week be filled with love, happiness, and the joy of creativity! I’m Jennifer Snyder here today to share my card for the holiday season featuring Maja Design papers. I love the rich dark chocolate color of the Vintage Summer Basics – 1905 sheet. I used the “B” side of the paper and found a cool little section of the paper with some white distressing on the page to look like old wood on my sled. Like an old – well used sled/toboggan. Finish the card with some holiday embellishments and it’s starting to look like Christmas. Thanks for stopping here to visit. Jennifer Snyder here with a jump on Christmas. 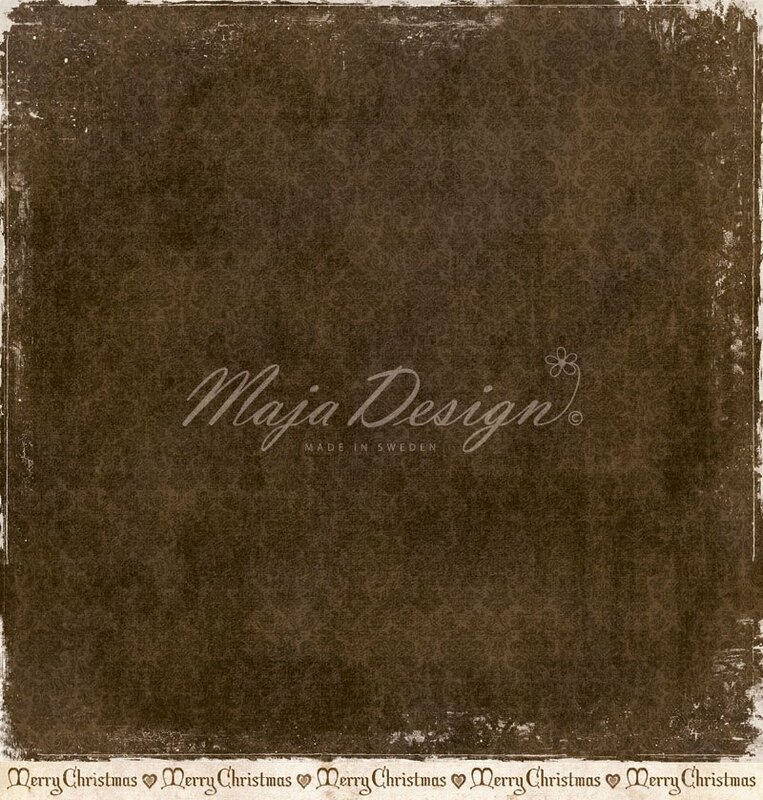 Maja Design has some of the worlds best Christmas collections. I pulled some of these collections out and got to work like a little elf. If you scroll down, I will show you how I made the ornaments. The chipboard on this first ornament has been transformed into faux gold filigree using gold embossing enamel. This short video shows how the ornament looks from all sides. Photos simply cannot capture the dimension and angles of the project. So how did I make these? 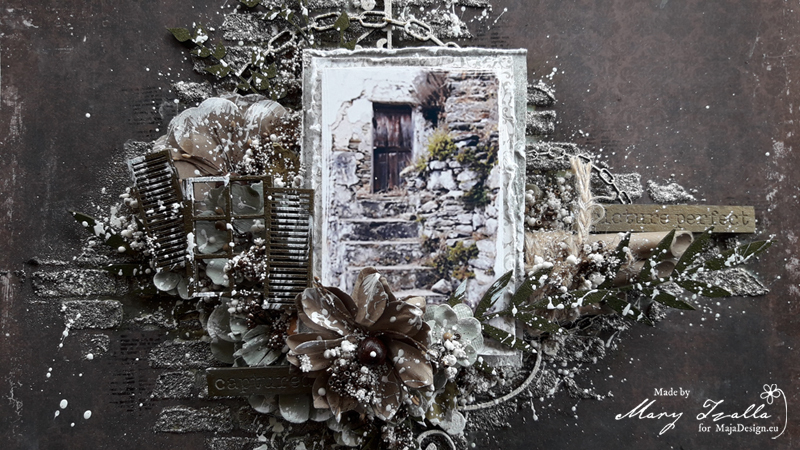 You’ll need two packages of Creative Embellishments chipboard – Small Intricate Frames. 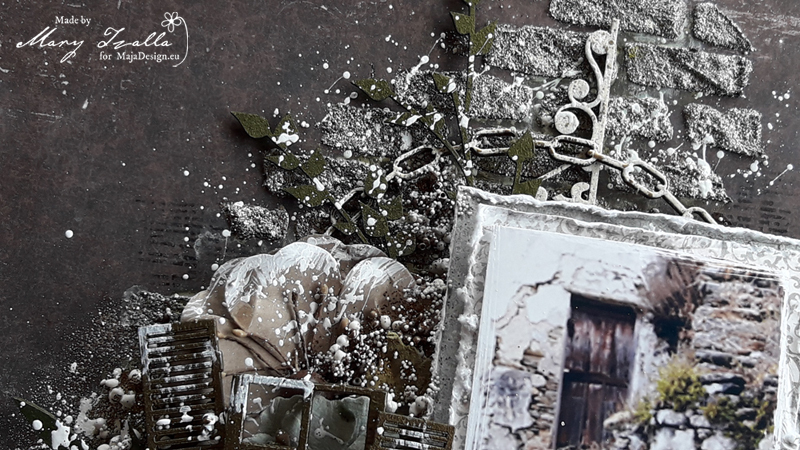 The great thing about that is you can now make two ornaments like I did or save the unused frames for other projects. Step 1. Emboss or paint both sides of the chipboard. You’ll need one oval and two matching square frames/diamond frames. Step 3. Glue paper to each of the square chipboard frames. Then fold the chipboard to form a 45degree angle. Step 4. Glue the square chipboard frames to the oval. You will only be gluing the top and bottom of the square to the oval. At this point, the squares are not really secure enough and need more support. This is the second ornament I created. The chipboard pieces have been embossed with aged ivory embossing enamel.